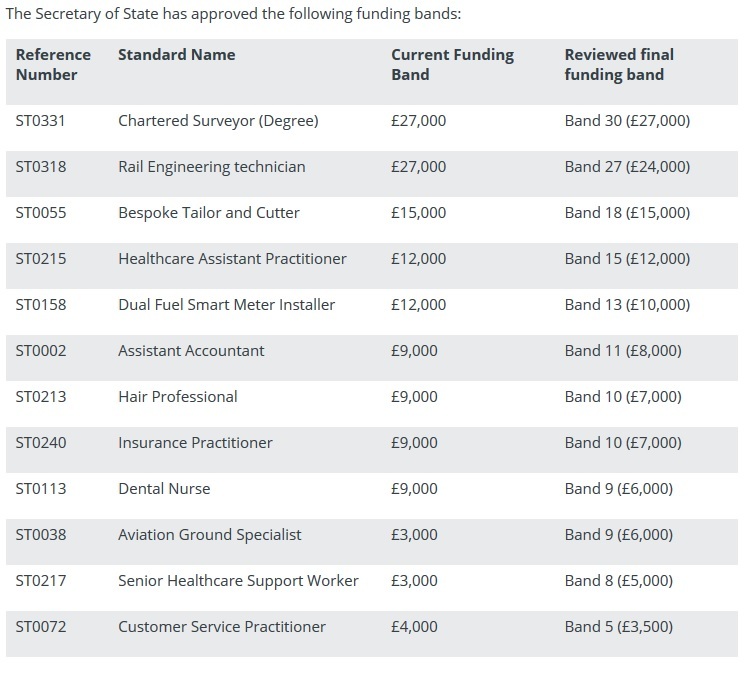 Final funding bands for 12 of the standards that were part of the Institute for Apprenticeships’ review have been published, following sign off by the education secretary Damian Hinds. Of the 12, seven have had their funding cut and three have remained the same, while a further two have had their funding rate increased. Funding band reductions will take effect on January 1, while increases take effect from October 6, the IfA said today. Reviewed funding bands for the remaining 19 standards have not yet been sent to Mr Hinds, including the controversial management apprenticeship standards. The IfA has said it expects the process will be finalised in late 2018. 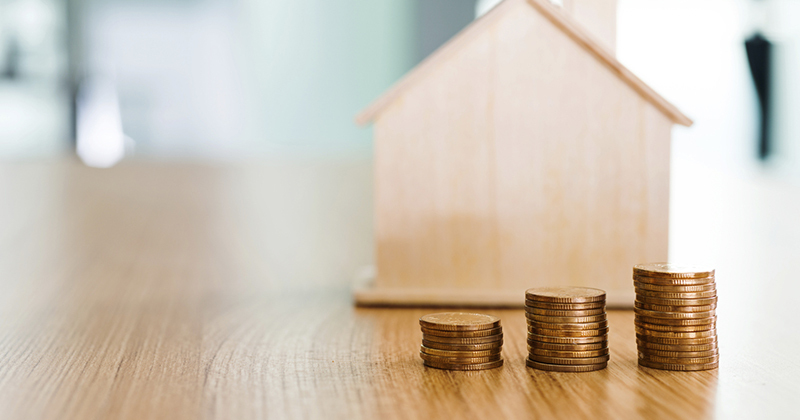 Explaining the review, the IfA today said: “We used our new funding process, adapted to reflect that these standards are already being delivered. Throughout the process, we worked collaboratively with trailblazers to ensure the review was carried out in an open way. The institute claims to have only recommended changes to current funding bands where “there is evidence that justifies a change”. This is the first time the IfA has publicly revealed the funding band changes, having previously refused to share them while they were still at the recommendation stage. However, a number of employer groups shared the outcomes with FE Week, including those behind the healthcare, customer service and aviation ground specialist standards, which have all had their final rates confirmed today. In addition to the three management standards, the retailer standard is also missing from today’s list. FE Week reported in August that it was set to have its funding cap reduced from £5,000 to £4,000. The IfA’s funding band review, launched in May, was intended to “help make sure that employers can access high quality apprenticeships and that funding bands represent good value for money for employers and government”. Analysis at the time the review was launched found that the 31 represented 64 per cent of all starts on standards for the first half of 2017/18 (45,900 out of 71,720).